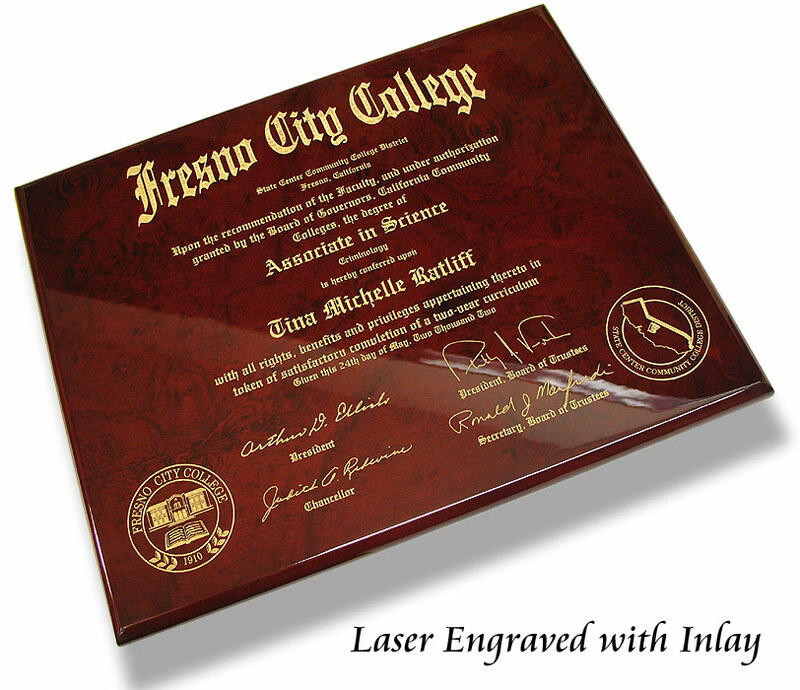 An elegant Rosewood or Ebony piano finish diploma plaque laser engraved and inlaid with Gold or Silver. Store your originals and display a stunning copy. 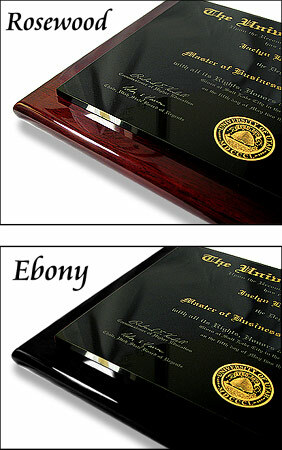 Our graphic artist spend the extra time to make sure your achievement is as sharpe and pristine as possible. 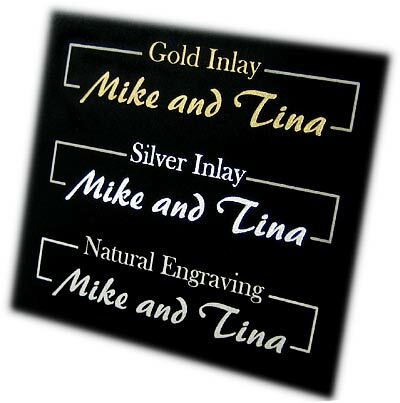 Each piece is permanently engraved and never fading. 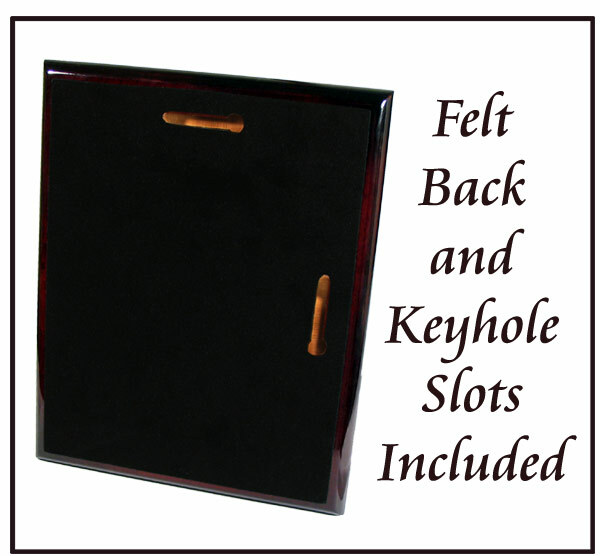 This is a quality plaque that has a high value, elegant appearance. 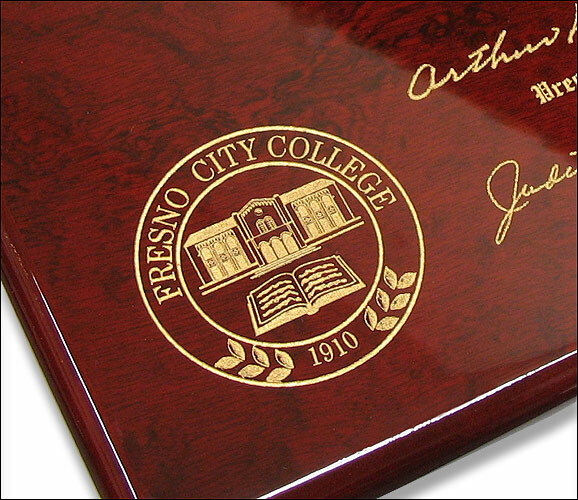 * Included with each order is document dust & scratch removal, logo/seal correction, contrast adjustments, sizing, optional gift message, proof image and engraving. * Comes fully assembled and ready for wall hanging. * Can also be displayed on table top using an optional easel not included. * Felt back included for added elegance. *NO CREDIT CARD required to view your proof!. Design Yours Below Most items ship within 1-3 business days. OPTION 3: Select If you are Mailing Your Image. See "?" to the LEFT for mailing instructions. FAST SERVICE! Once you submit your order, a proof will be ready for your review within a business day. Most items ship within two business days after you approve your final design. Larger orders may require additional production time.